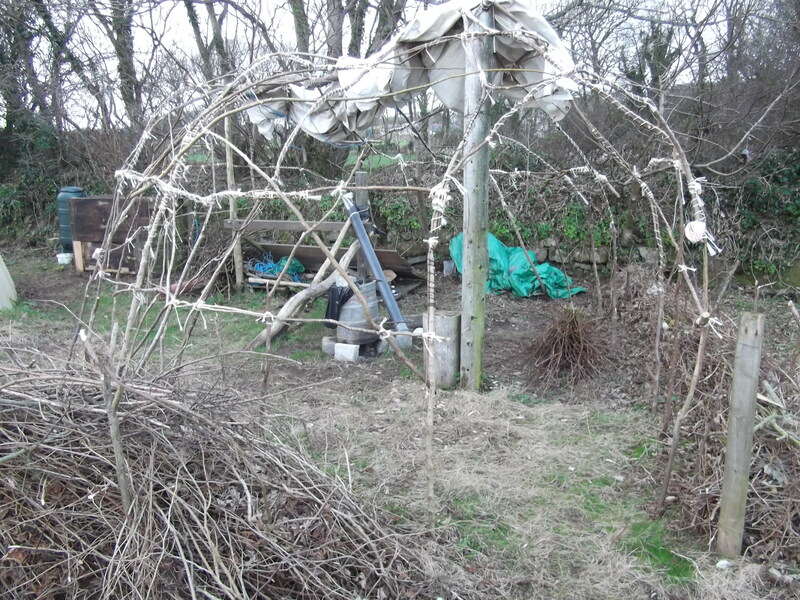 During the harsh storms of December and January the original bender structure built to act as a shelter for the Green Woodwork space partly collapsed!! Partly Collapsed bender structure looking very sorry for itself! 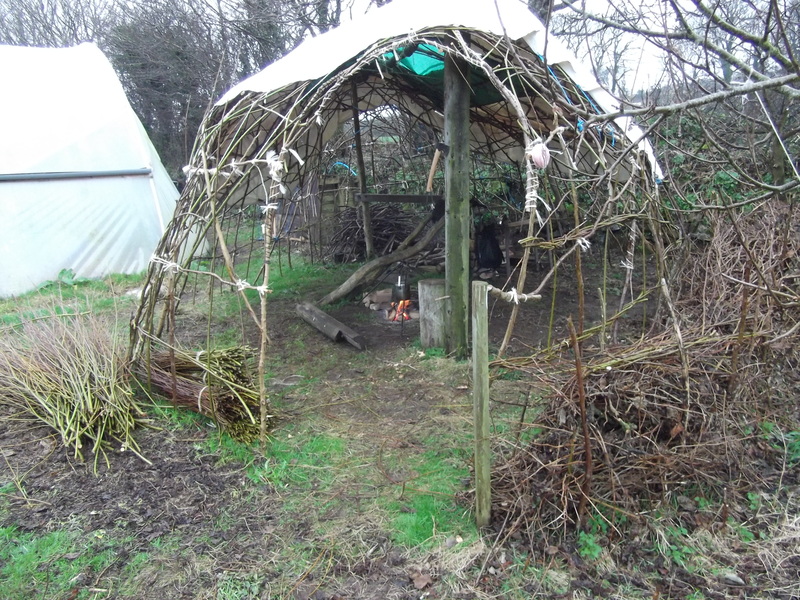 Lessons were learned and, as well as using more woven willow and hazel in the roof of the structure to give it strength and stability, I decided to also insert living willow uprights in-between the hazel already used. This provided a much stronger structure which will only grow in strength as it gets older (with a minimum of maintenance). 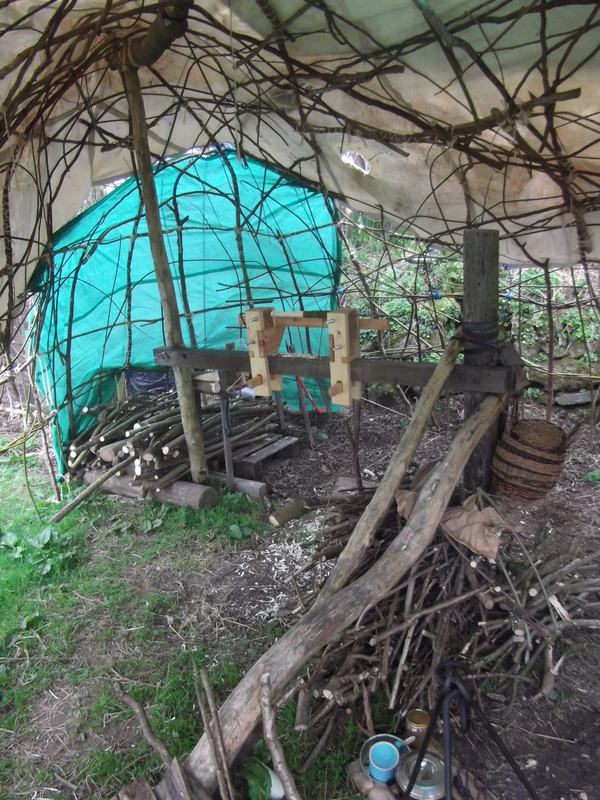 I wanted the space to provide lots of light, be made from found materials only, be open to having a fire inside and also provide shelter from the rain. The “living bender” structure created does all these things and is also adaptable to different weather conditions, where we can add tarpaulins if it is needed, and easily remove them if there is a long, hot summer (we wish!). 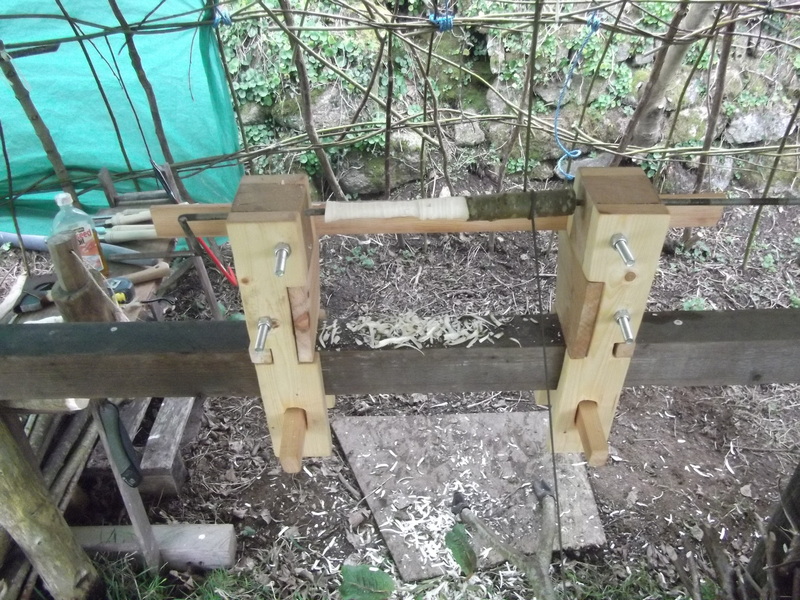 The new space enables me to permanently have the pole lathe set up without the worry it will get damp and wet. The bird poo on the lathe bed also indicates my avian friends are also enjoying the space, which brings a smile to my face. 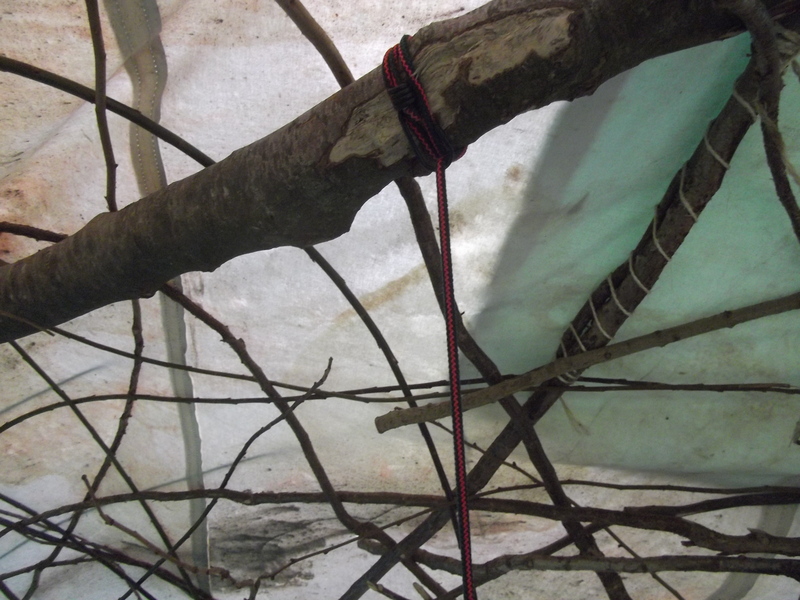 Initially I wanted to have the pole lathe cord through the roof connected to a sycamore tree branch which stretches overhead. However, this meant I had to face the wall at the rear of the structure. Instead I decided to use a bungee cord wrapped around the horizontal roof strut. 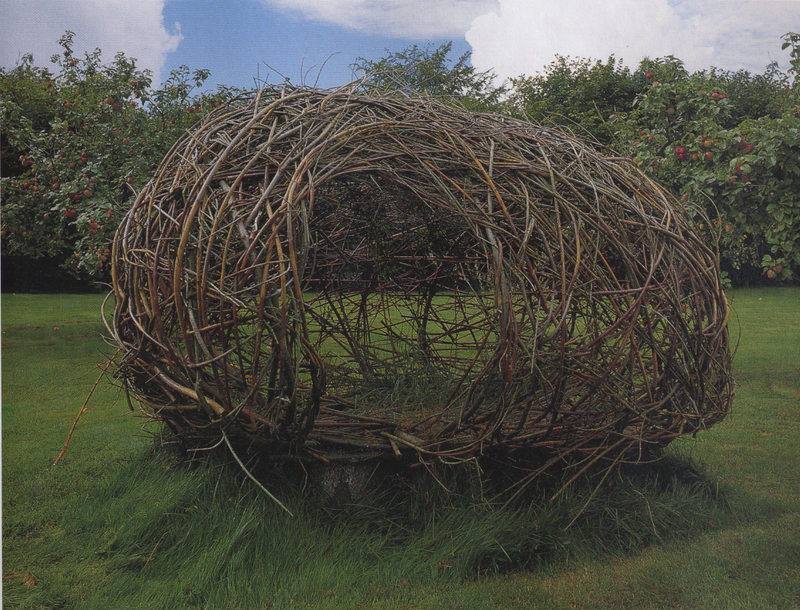 The space is modifying and finding its own place within the orchard where it sits. 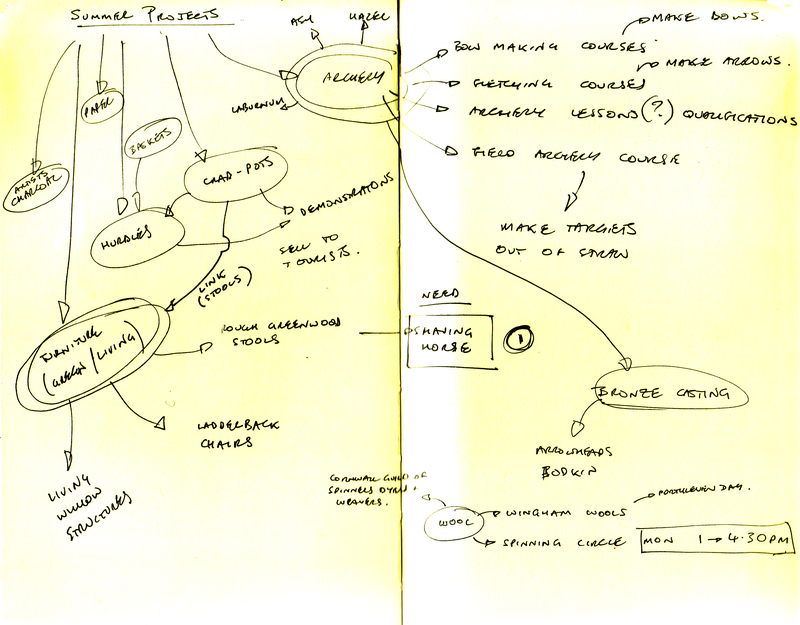 I hope to document its development over the coming months and years. What!? Another cup of tea? 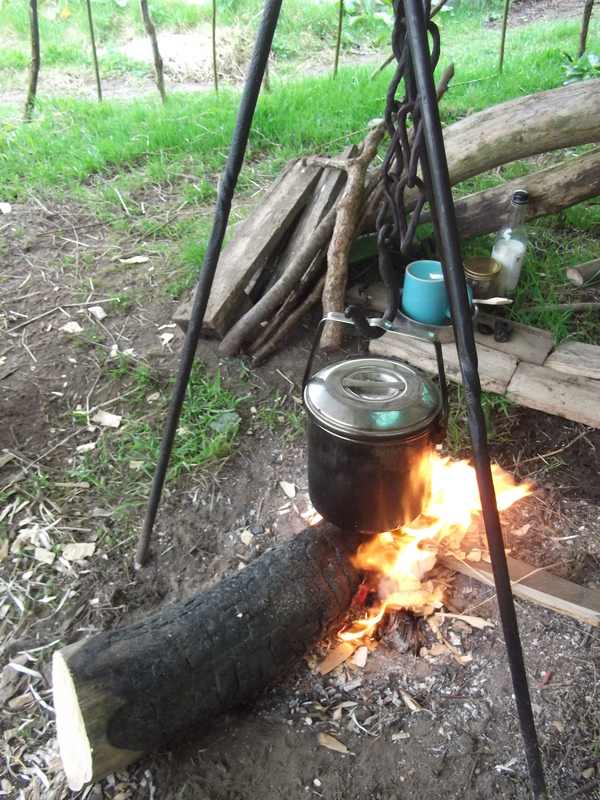 NB; Tripod, chain and hook used in the photo above care of David the on-site blacksmith! I believe the starting point for any attempt at a sustainable community is to explore the existing resources of that community and develop effective strategies to maximise their usefulness for that community. This includes methods that will care for, maintain and maximise the natural life of those identified resources and the ecologies they are connected to. 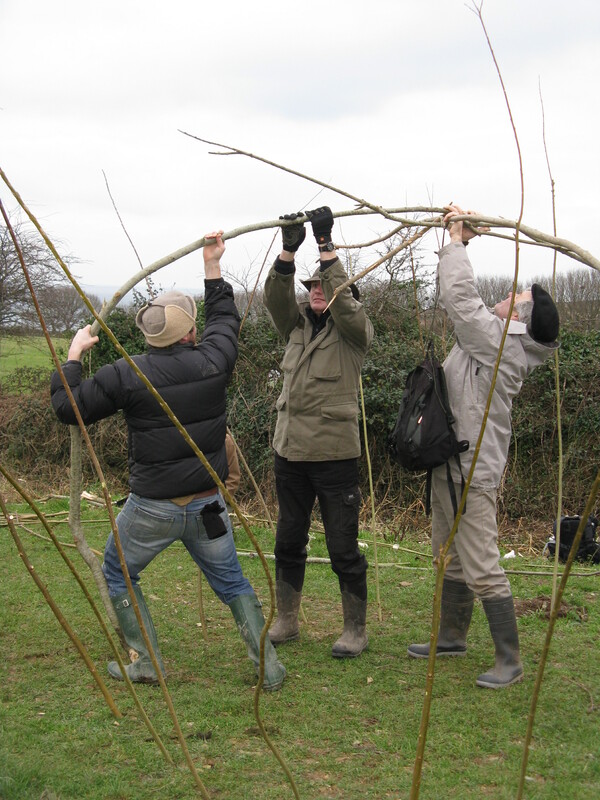 At Plan-It Earth Eco Project we have lots of willow and hazel coppice that has been poorly managed in the past (or neglected) as no one person has dedicated the time needed to manage the resource over successive years. 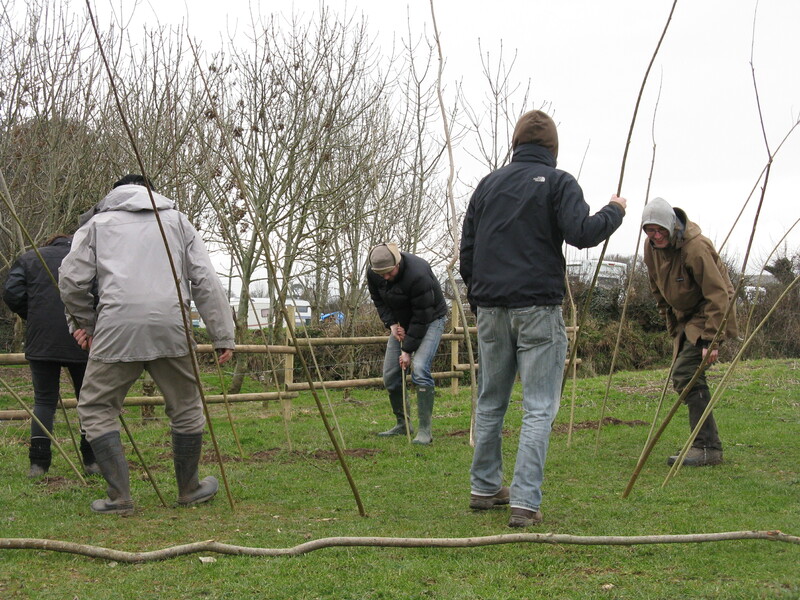 It is quite a commitment to become a coppicer as you need to get the trees into a coppice cycle and the crop takes 1, 2 or 3 years (or longer!) to come to harvest. How many people in this age of instant gratification can wait 3 years before they even begin to make the chair they have in their mind? Much easier to go out and buy the wood, make the chair and sell it in a few weeks. However, for me the chair in the above example is simply the end product. The relationship built with the trees themselves, and the ecologies they are connected to, is the real goal. 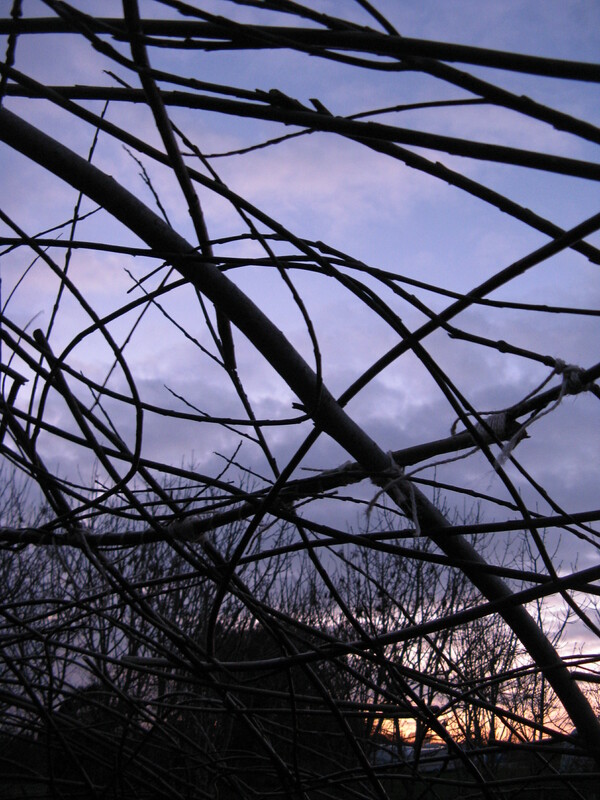 Out of this relationship new and surprising methods of economic production are created to the benefit of the trees, ecologies and the human community. 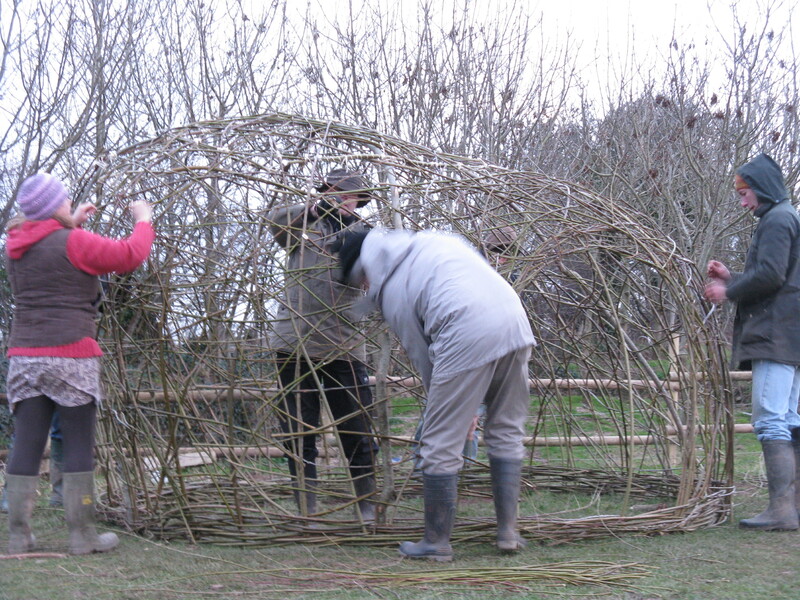 After spending the Winter and Spring cutting, snedding and sorting the willow it is time to look at what we can create out of the wood we have. 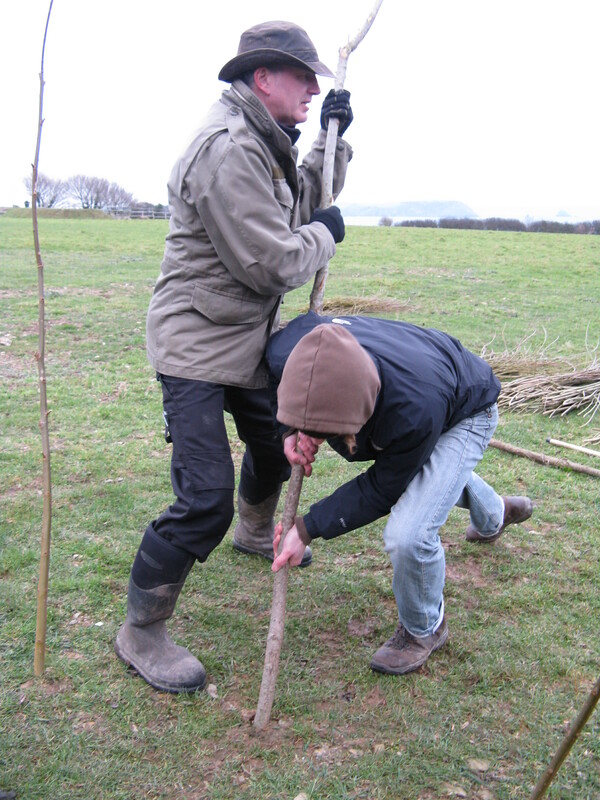 There are varying sizes and quality of wood as much of the coppice has been cut over the Winter months to bring it back into rotation. After a great ‘Meeting of Minds’ with Rachel and David Smart Knight (who own Plan-It Earth Eco Project, the following projects were suggested for developing a work plan for the Summer months. 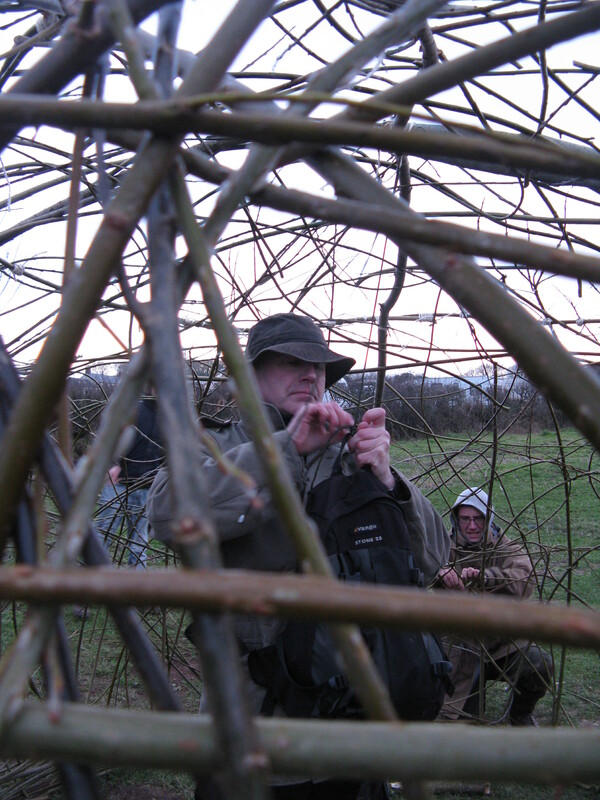 It’s always a mad dash in the early year to get the willow at the various sites cut before the sap starts rising, and nesting birds start to settle. I thought I had it all under control until I was approached by Dave Parker, who is responsible for the bird-life, hides and habitats around Drift Reservoir (Grid Ref: 431295). 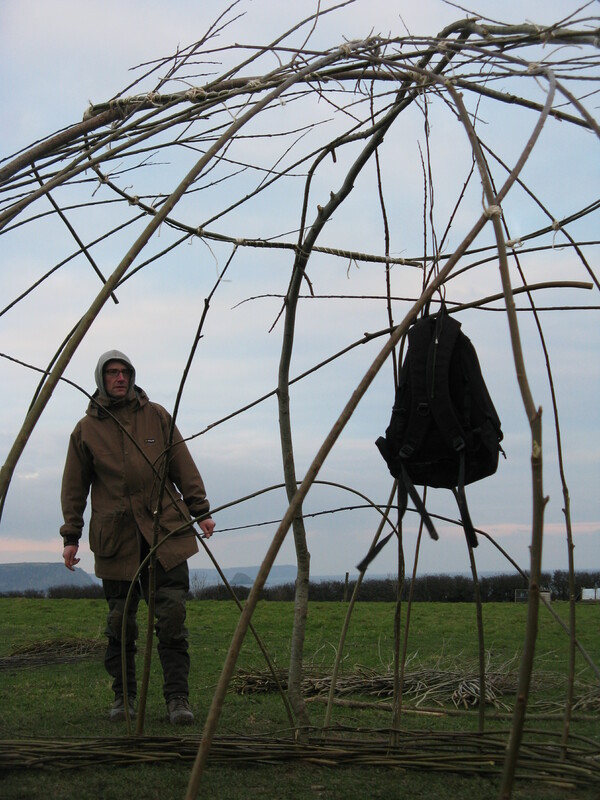 Its less than 1km from my home across the fields, and so was too tempting a coppicing opportunity to miss. Dave planted a reed bed to encourage water fowl to breed and provide a habitat for other wildlife some years ago and this has established really well. Unfortunately the willow on the banks surrounding the bed have also flourished, and started to encroach into the bed itself. Willow Encroachment Into Reed Bed At Drift Reservoir. 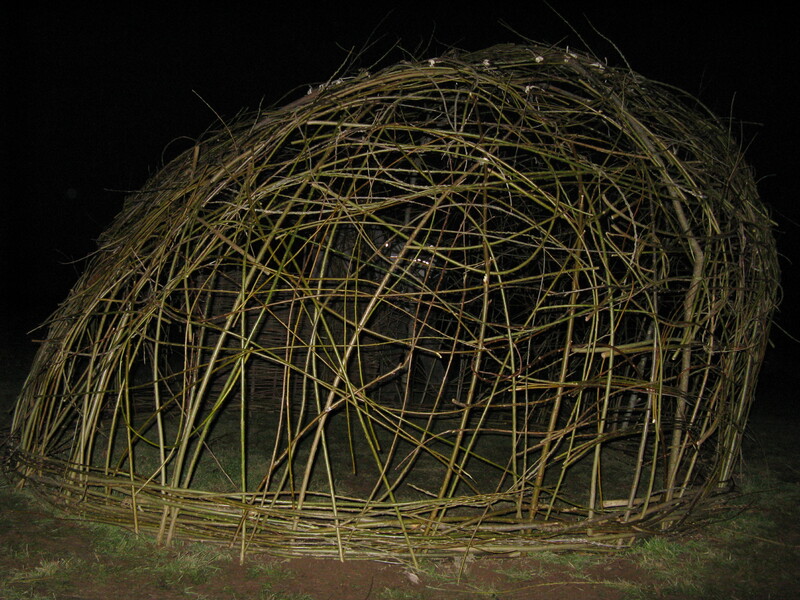 When we went down to have a walk around I noticed what a fantastic willow crop this made. 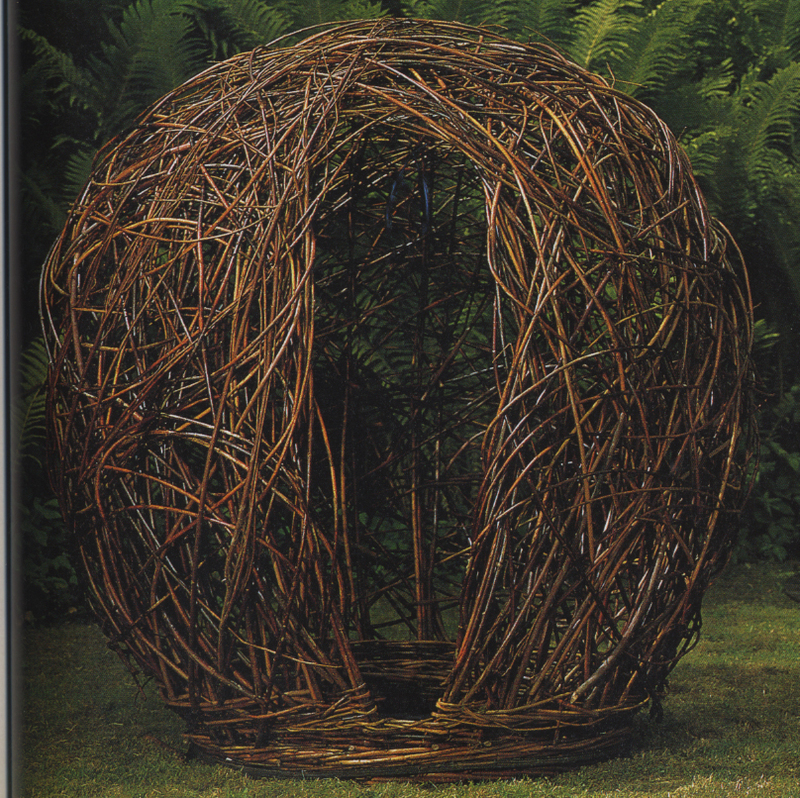 The willow competes for the light with the reeds and grows tall, straight and strong with no side shoots. 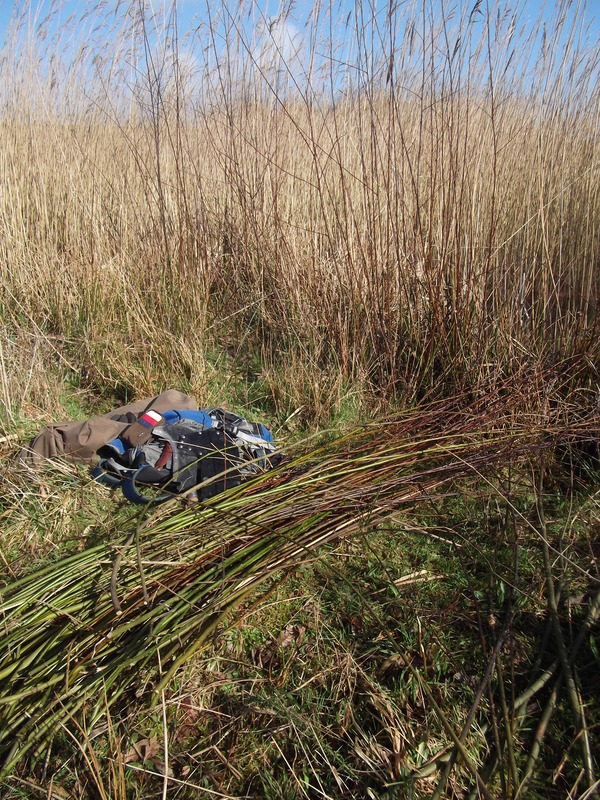 So, as a management plan we decided that I would come down, cut the willow each year in Dec / Jan and remove the brambles around the banks, letting new growth and more diverse species thrive. 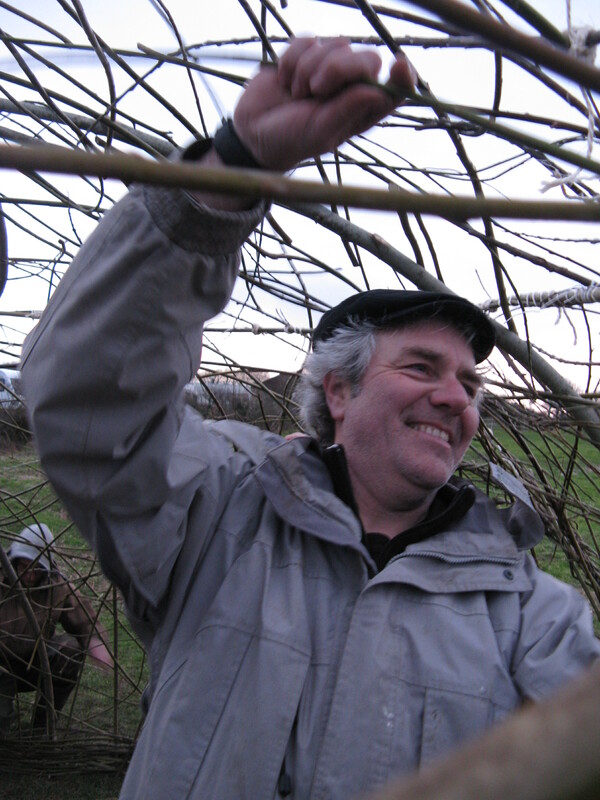 I cut the willow in February, and Vanya and I transported the crop back to Plan-It Earth Eco Project for snedding and sorting last week (Mid March). There are also willow along the banks which need managing, but when I last looked the fisherman seemed to have taken matters into their own hands! Looks as though I will have to be earlier next year. A sobering thought that in these times of immediate gratification, I will have to wait a year until I can rectify mistakes and another year after that to reap the harvest. Good old Mother Nature teaching me the value of correct action and patience! You are currently browsing the Greg Humphries blog archives for March, 2011.